While things haven’t been looking so good for Sean Spicer’s longevity, the embattled press secretary has one thing working in his favor: bigly ratings. The New York Times’ Michael Grynbaum writes that Spicer’s White House briefings have been getting 4.3 million viewers on average, higher than soaps like The Bold and the Beautiful and General Hospital, which usually air in the same time slot. Cable news viewership as a whole has also risen since inauguration day, with Fox, CNN and MSNBC all seeing substantial increases in daytime audiences (plus an average audience bump of 10 percent when Spicer comes onscreen). Spicer began his tenure with a bang, lashing out at reporters and openly lying about inauguration crowd sizes. Since then, his garbled, shouty briefings have become appointment television, inspiring countless memes (Dippin Dots’, gum, Daft Funk, the ABCs — can you believe it’s only been three weeks?) and spawning an instantly legendary impression by Melissa McCarthy on Saturday Night Live. 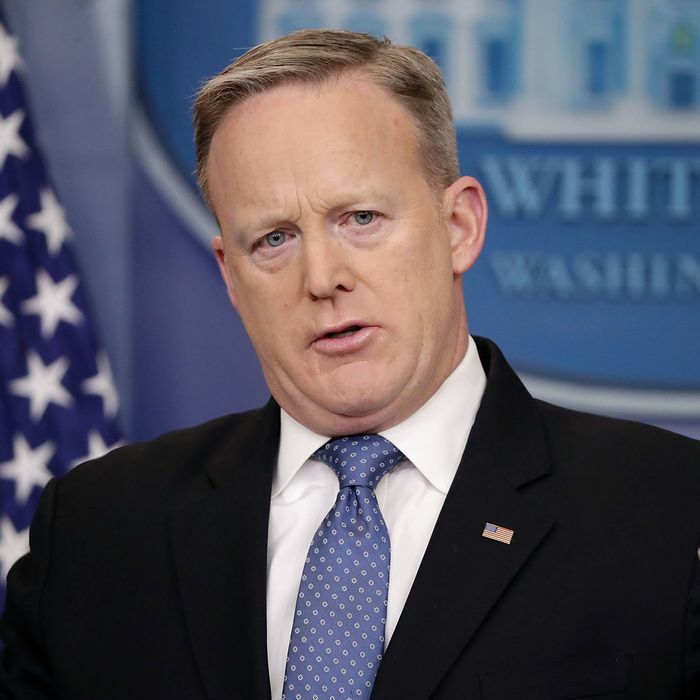 Numerous sources have suggested that Donald Trump is unhappy with Spicer’s job performance, particularly the fact that that he was lampooned by a woman on SNL. Then again, if there’s one thing Trump cares about above all else, it’s ratings.